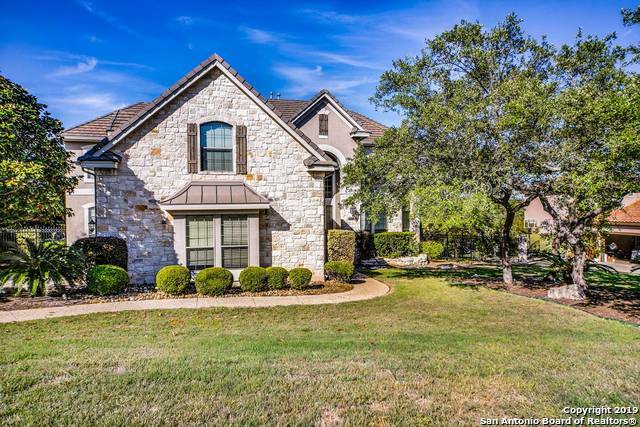 All TUSCANY HILLS/VINEYARD homes currently listed for sale in San Antonio as of 04/24/2019 are shown below. You can change the search criteria at any time by pressing the 'Change Search' button below. "Multi-generational home w/ 2 masters w/ easy access to 1604/IH10/281! Living area w/ stone fireplace & reading/meditation rm overlooking backyard. Island kitchen w/ granite counters, gas cooktop, double oven & butler's pantry. Main level master w/ walk-in closet & bath w/ double vanity & walk-in shower. Upper level master w/ wood flrs & full bath w/ granite vanities & steam shower. Bdrm 2 down w/ full bath access. Large game rm & 3 secondary bdrms up. Covered patio w/ deck. Private backyard w/ m"